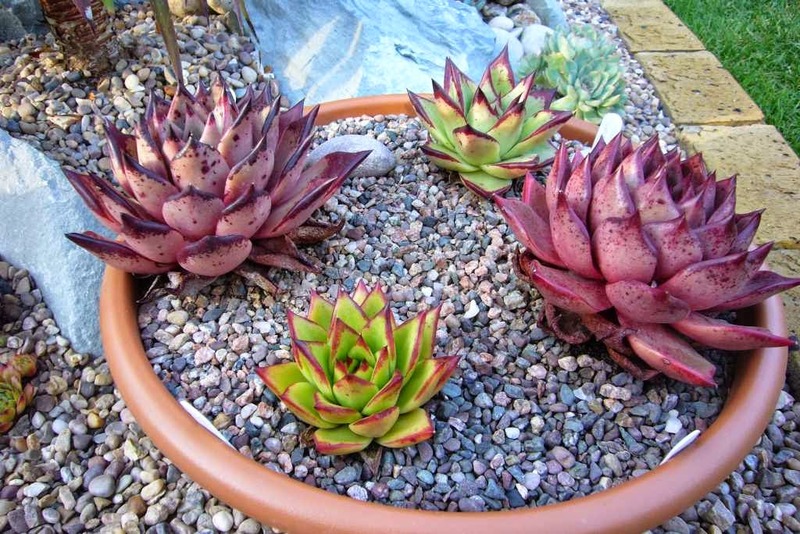 Spiky obsession: Echeveria agavoides is my favourite group of plants this week. Echeveria agavoides is my favourite group of plants this week. I have mixed feelings about naming forms of a plant, sometimes it just feels a bit commercial and a way of trying to get people to by the same plant just by giving it a different name. 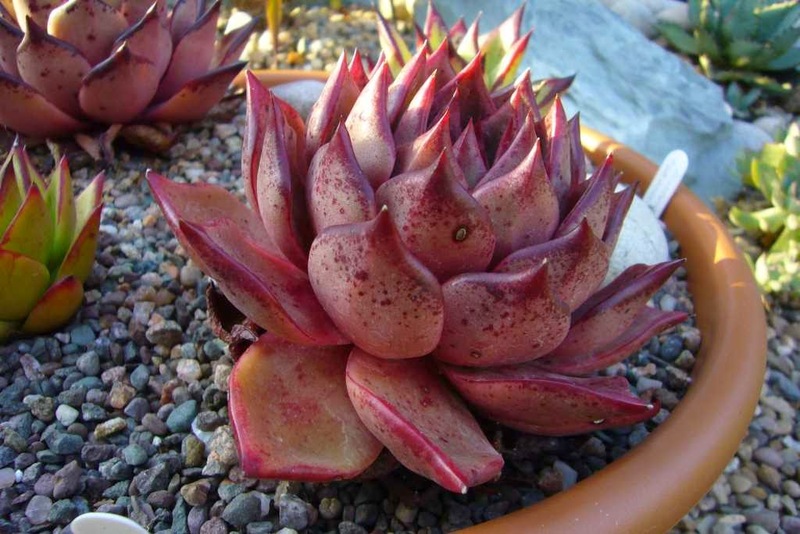 However this is not the case with echeveria agavoides and there are some truly different forms well worth adding to any collection. Last year I put a selection of forms into bowl to see how they developed, it highlights how different they can be. The 4 different forms are 'Lipstick' (front), cv 'Sirius' (left), 'Ebony' (back) and cv 'Romeo'. Each is distinct and can be reactively easily separated. The most common is 'Lipstick' there is another form called 'red edge', but I find these look pretty much identical and are interchangeable (at least for me). It has one of the most most agave like shapes with good pointed leaves and very structural rosettes. Like most forms, the stronger the light levels, the better the colour to the leaf edges. It can take a while to settle and then produces multiple offsets giving a very tight clump. I have had mixed results hardiness wise, like many succulents it seems to grow into cold tolerance, so don't leave it out when it is small. However once larger, especially when clumped it copes fine with my -8C winters. Over the last couple of years new forms have been becoming readily available the most common being e. agavoides cv 'Romeo'. The leaves are not as pointed as the other forms so it is less agave like. The colour however is amazing, almost aubergine. When I first got this plant I thought it was stressed or a spring colour, it has held its colour and looks pretty much the same all year. It doesn't seem to offset easily though, in fact neither of these cultivars do. I may have a dud of course, and haven't wanted to cut it up to produce more plants. This one has been kept dry over winter but that is all the protection it gets. 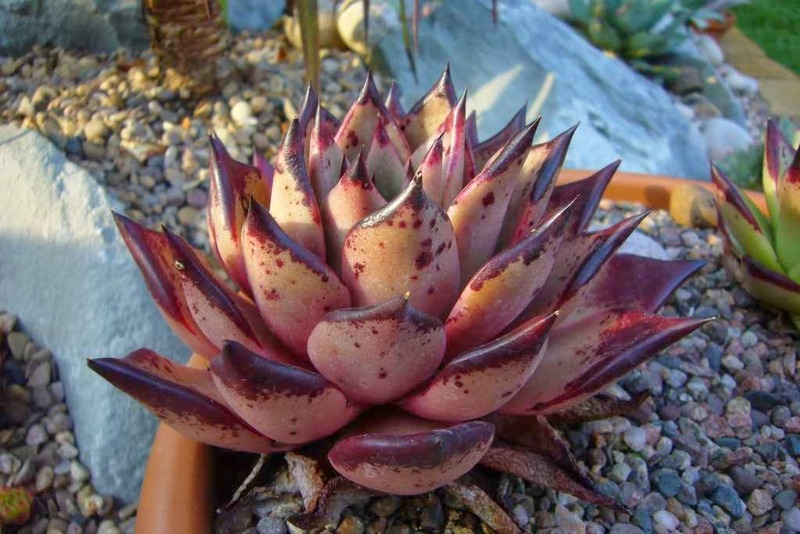 The other cultivar is even better, e. agavoides cv 'Sirius', it has the good agave style shape and a very dark colour. The leaf edges are almost black. I can't really tell you how this one grows, as it hasn't actually done anything in the 2 years I've had it. No offsets, limited growth (which is probably because I got it fully grown) and no changes to the colour. Finally by far the most sort after e. agavoides 'Ebony'. This is the plant that everyone wants and it is the best form for me. 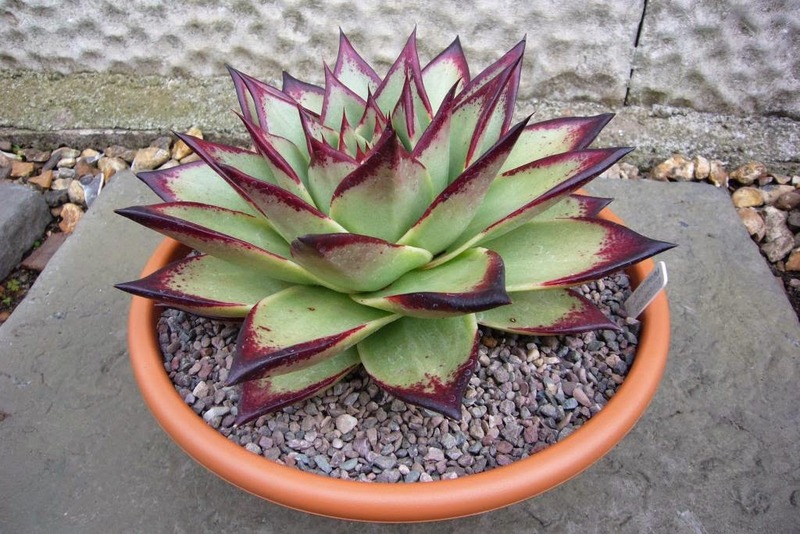 It is the biggest, has the best shape and the very dark leaf edges really make the plant stand out. This one needs bright light to get any colour. I have seen a lot of plants for sale claiming to be ebony, but looking distinctly like lipstick. In young plants it is difficult to tell them apart and given the demand it is probably no surprise less scrupulous sellers want to pass off plants as this form. Once larger the rosettes tend to be flatter and the leaves look different to the other forms, being a paler green. It actually offsets quite freely, so at some point the market is going to be flooded with them It also takes from leaves, although not as reliably as the other forms. You can also find seeds and it seems to come true to form in the majority of cases. It is also not quite as hardy and you have to watch out for rot. 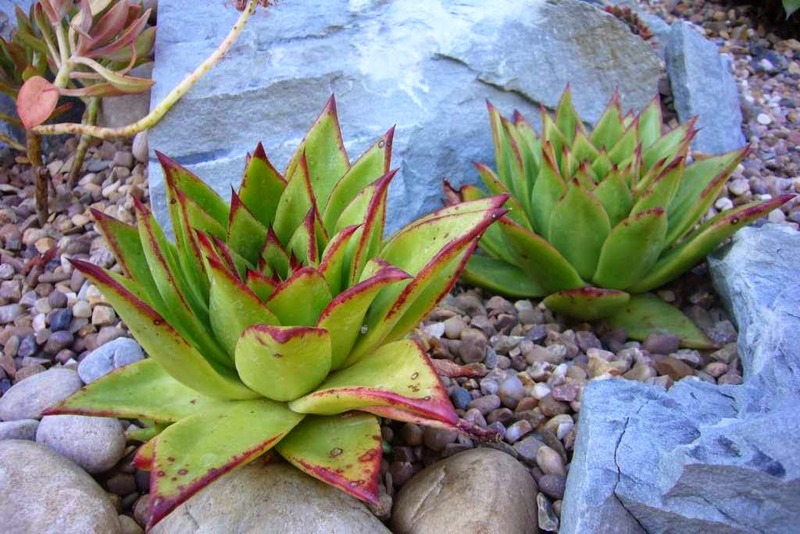 So there you have the echeveria agavoides group, which are my favourite plants in the garden this week. Head over to see Loree at Danger Garden to see my favourites. Oh, hope the shopping goes well. Nice round up of the different forms I don't recall seeing any of them available here except for 'lipstick'...I'll be keeping my eyes open! That does surprise me, 'Ebony' will be available, but rare. The other two are very common here now, so amazing you can not find them.